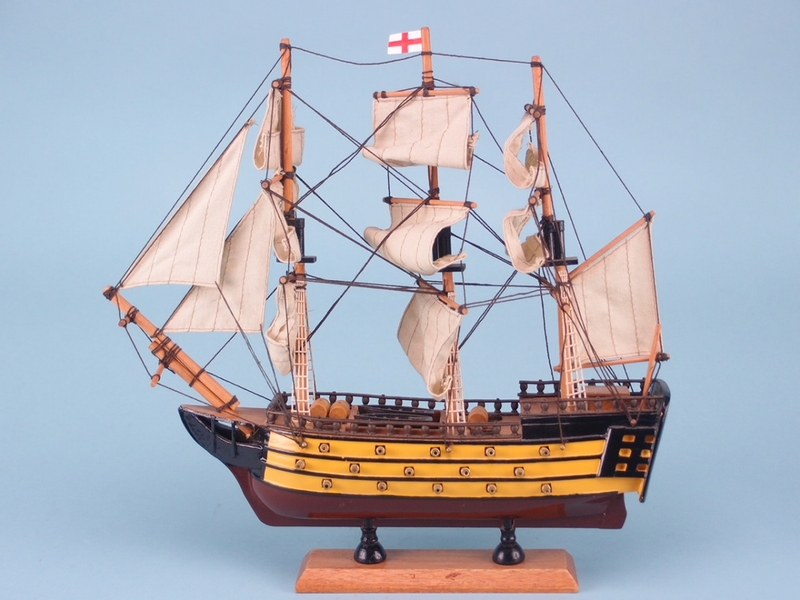 This HMS Victory replica model would make an impressive addition to any model collection and, with its superb detailing, is truly an eye catching piece. Most notable for fighting in three major sea battle, including Trafalgar in 1805, this model is a must have addition to any nautical or seaside gift shop. 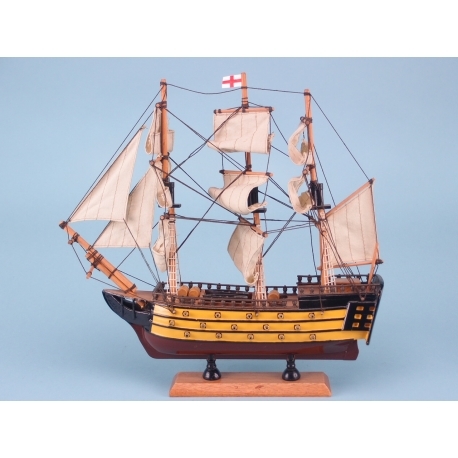 This replica ornament of the famous HMS Victory, which is most notable for fighting in three major sea battle including Trafalgar in 1805, is a must have addition to any nautical or seaside gift shop. Crafted entirely by hand, this exceptional model is officially licensed by the National Museum of the Royal Navy, making it a lovely gift for lovers of their naval history or treasured collectors piece. At 33cm x 33cm, the HMS Victory would make an impressive addition to any model collection and, with its superb detailing, is truly an eye catching piece.